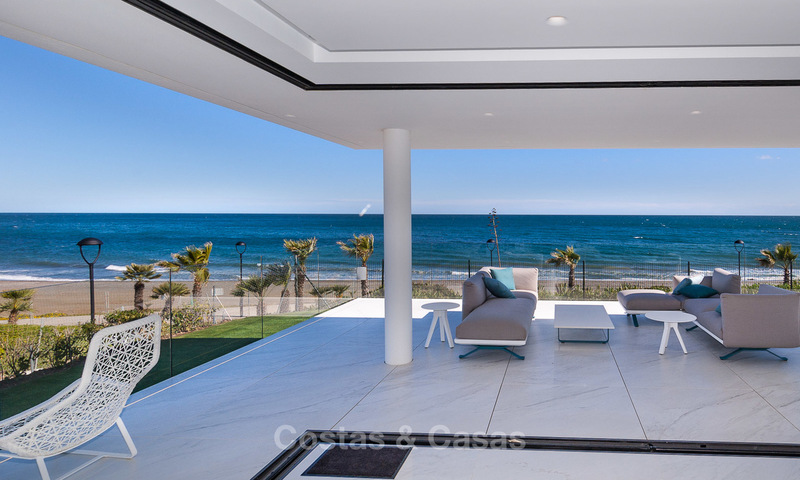 Unique luxury contemporary styled penthouse apartment for sale in Marbella beachside on the Golden Mile near central Marbella The best duplex penthouse in this modern style complex with communal garden and swimming-pool. 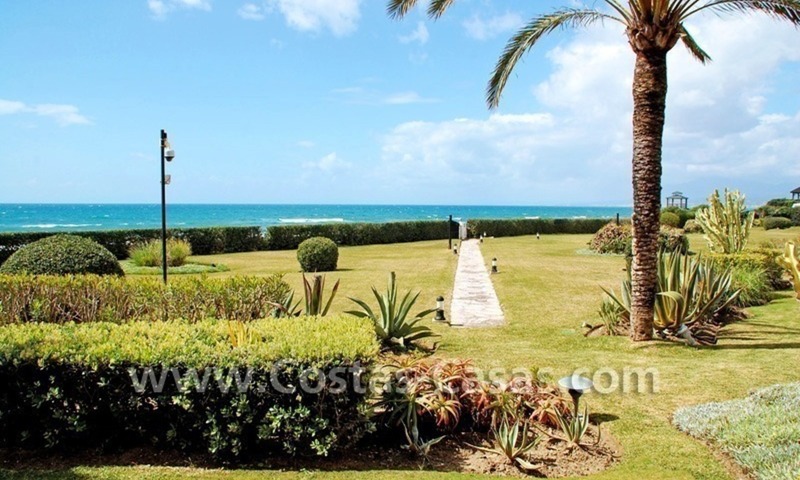 Very convenient location being at a very easy walking distance to amenities, supermarkets, shops, restaurants, Marbella centre and only at a very short walk to the beach promenade leading us to Puerto Banus and to the famous beach bars and clubs in the area. 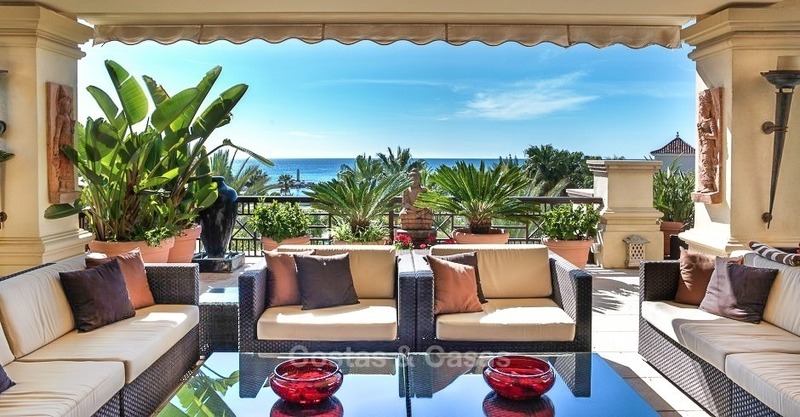 The most spectacular and panoramic views to the garden, mountains, the sea and the coast up to Africa and also to Puerto Banus. 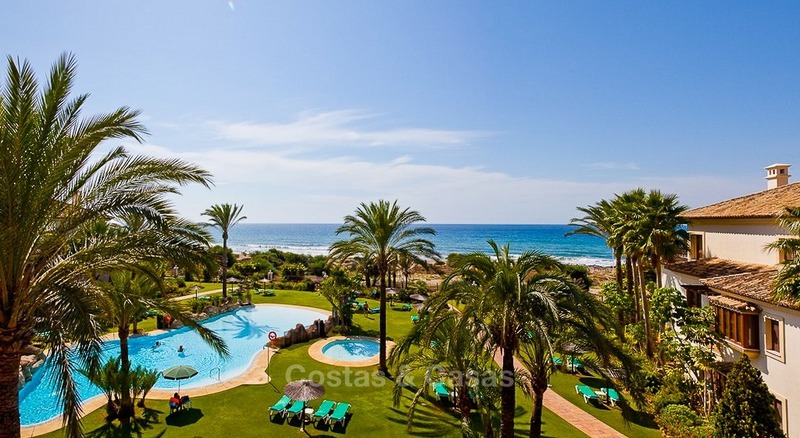 Beachfront andalusian style luxury apartment for sale in Marbella Exclusively offered resale property Corner garden apartment. One of the best located apartments in the complex. Gated complex built in a Moorish Andalusian architecture with a big lush subtropical communal garden, 1 outdoor swimming pool, 1 indoor swimming-pool, sauna and a gymnasium. 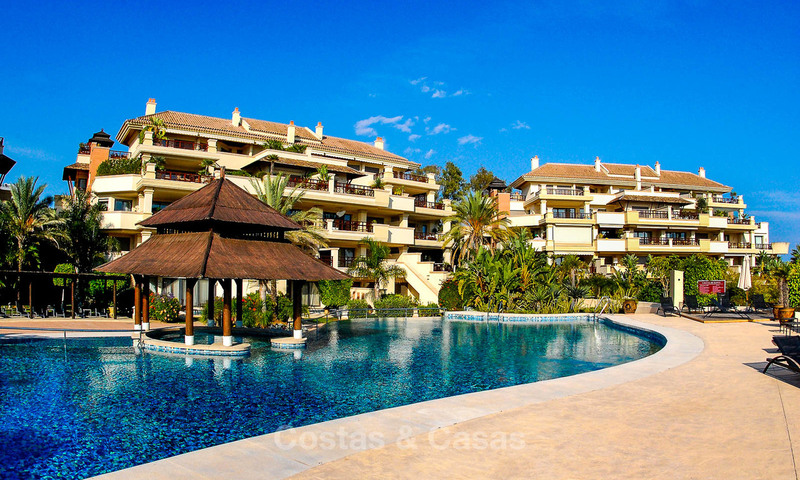 Luxury apartment for sale second line beach, Marbella centre. Special apartment. Short walking distance to all amenties. 5 bedrooms, 4 bathrooms. View to the sea and gardens. Beautiful communal gardens. 24h security. Last apartments! Under construction. The architects have created the most innovative design and are using the latest quality materials to create this modern and exclusive residence. Each owner will have the feeling of living in a villa instead of an apartment. Update: real photos!